such as a thin layer of the skin. Devonshire Rex is very friendly and pleasant, happy to sit on the shoulders of their owners. 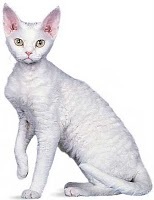 Devonshire Rex's most experienced hair loss, or a fine undercoat hairs. Devonshire Rex is very unique because curly hair at their feet. 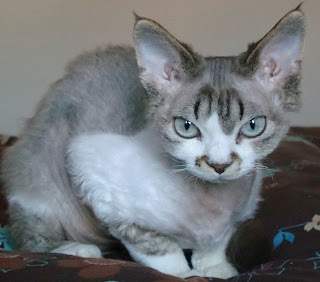 Devonshire Rex also had large eyes, and ears low. Devonshire Rex cats are very active, fun, and friendly, and likes to perch on the shoulders of the person, such as parrots. Devonshire Rex is also very intelligent, and can be taught tricks, such as taking and walking on the rope. 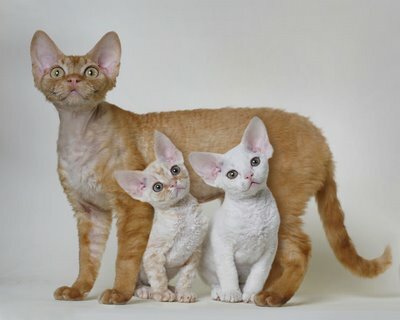 Number of Devonshire Rex cat race is also still very limited. 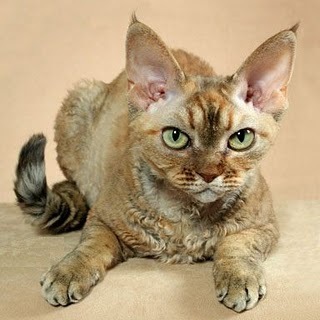 If at first glance look like a Devonshire Rex Sphynx cat.